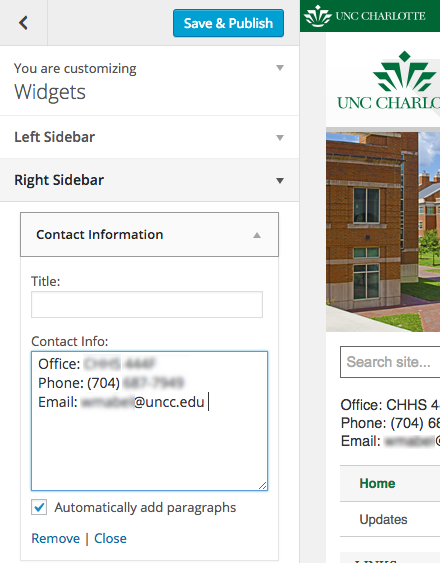 The UNC Charlotte Faculty Connections site has profile and research interest information for many faculty at UNC Charlotte. Faculty listed on this site can update their own profile and research information. You can find your Connections page by searching for your name in the search bar at the below or by clicking on the link to your department and browsing to your name in the listing of department faculty. Follow steps above for logging into Faculty Connections and finding your Connections page. The goal of these academic interest links is to find connections between UNC Charlotte faculty. To this end, it is a good strategy to chose interests from those that already exist (i.e. 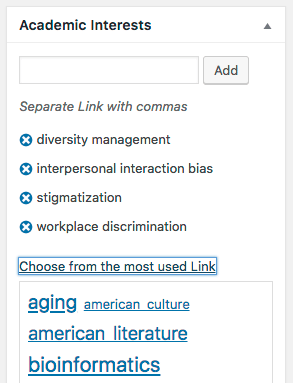 from the “most used link” list). That said, many researchers do have unique research interests and so if your research is not in the list, feel free to add it. It can take up to a day for the Faculty Connections site to update.